Get A Tow 24 Hours A Day/Seven Days A Week. Call Now! B & B Auto Service And Towing has been helping grateful drivers get their cars quickly and safely off the road in Summit County and beyond for over 48 years. A towing service you can always depend on, our motto is “call us now, we’ll be there fast." From flatbed towing and heavy duty towing, to jump starts, tire changes, and accident recovery services, we’re there for you 24 hours a day, seven days a week. Fact is, we’re your local leader in professional roadside assistance. 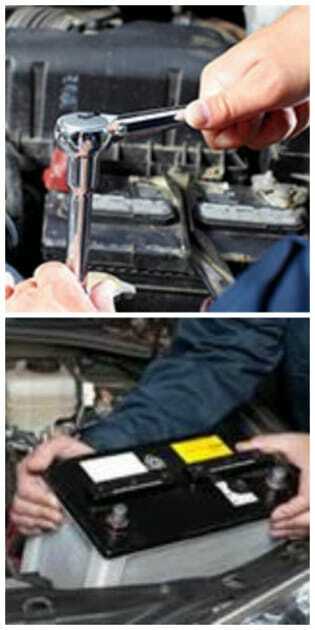 While we may be the most reliable towing service in town that's not all we do. We offer free shuttle locally and also an array of auto repair and auto maintenance services to keep your vehicle in tip top shape on and off the road. Call us today for all your towing and auto repair needs. Our tows are always "damage free." Call us at (234) 542-0851. 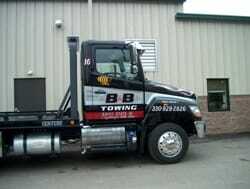 Call us today for all your towing needs at (234) 542-0851. We look forward to serving you.